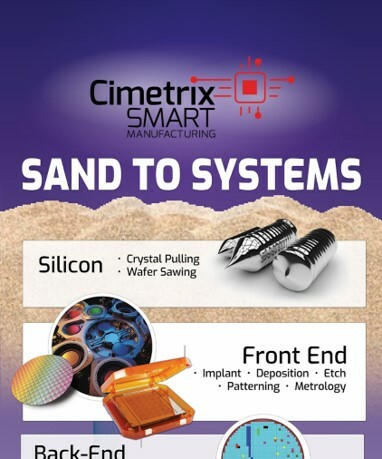 If you've ever wondered what the microelectronics manufacturing process looks like end-to-end, Cimetrix has created an infographic that shows the high-level steps along the way. Cimetrix Smart Manufacturing products and technology serve companies across this global value chain in today’s most complex and competitive industries. 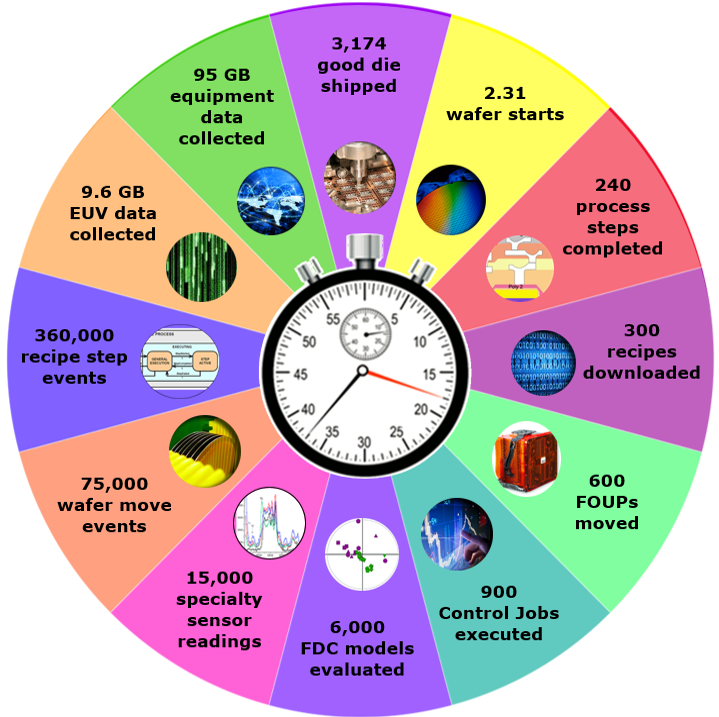 We have now entered the Gigafab Era, where enormous factories ship more than 100K finished 300mm wafers every month. This requires precise and constant coordination of equipment, material, information systems, and people, which is now known as Smart Manufacturing. One of the best ways to appreciate the scale and complexity of this process is to consider what happens in a single minute of such a facility… and to this end, Cimetrix has created the Gigafab Minute.